Southern Planning Practice has considerable experience in industrial and commercial projects at the pre-application, planning, and design stages. Tyres used for the business are already stored on the ground floor of the industrial storage unit. 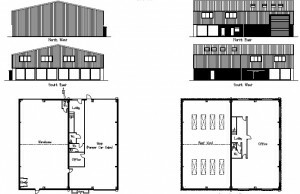 The first floor of the industrial storage unit is split into two offices and would be used for ancillary purposes. The extension to the building would provide staff with welfare facilities and a WC. Internally there is a mezzanine floor and 2 ancillary offices. 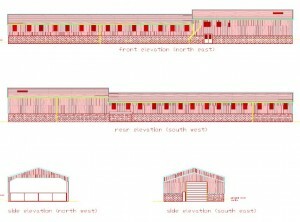 The ground floor would continue to be used for the storage of tyres.The extension to the storage building is located on the western elevation and will provide a rest room and utility area for the employees. 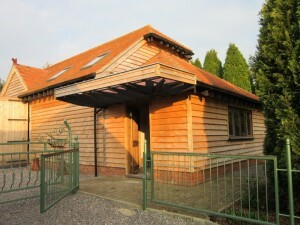 The design of the extension matches the approved building built by Oak Craft Ltd. The roof is hipped at 35o and consists of clay tiles. The proposed parking would be re-located and 3 parking spaces would be provided. The revised footprint as a result of the extension would measure 17.4m long and 6.6m wide, a total of approx. 115 m2. The existing hedgerow screening in the form of mature laylandi planting would remain as existing and be maintained. 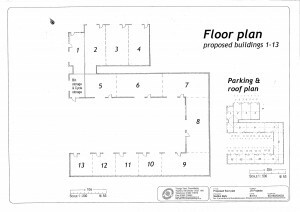 Planning permission for change of use of car sales area to A1 (retail) and associated A1 (retail) warehouse (retrospective) on part of the ground floor of Hilson House, Bottings Industrial Estate was sought for a local business which had already moved into the ground floor of the industrial unit. Planning permission for change of use to retail on the first floor of the same unit had previously been sought and refused due to lack of evidence demonstrating the need for such a use outside of a defined town or village centre. 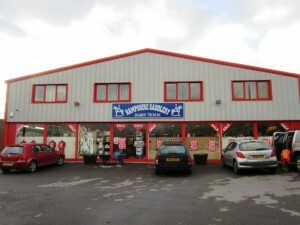 After setting out the business case and explaining the niche market for equine goods in this location, planning permission was granted. 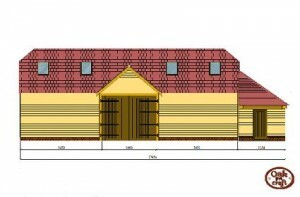 The case was put forward that the scheme would utilise the existing building and the retail use would be at an appropriate scale and in keeping with the rural location and the community. There were no suitable sites available within or on the edge of the town centres or local centres accessible for the client base. Traffic was already generated by the present industrial estate and would have been by the previous use as car sales. The site is served by an acceptable highway network and requires no harmful road improvements. Scottish Widows Investment Partnership Property Trust holds a long lease from the Royal Borough of Windsor and Maidenhead for the King Edward Court Shopping centre. The project is the first of a number of incremental extensions and improvements that will be made over the coming years. This first project was to increase the size of two Class A3 units at basement level enabling space on the ground floor to be freed up to increase trading floor area. All three issues represented potential significant planning problems. Working with NCS Building and Property Consultants on the design and engineering solutions ensured smooth progress through Planning and permission was issued within six weeks. The works were refused by the Authority. The client was not willing to agree to the Authority’s preferred approach because of the effect of removing the partitions on the businesses and concerns about farm animals being spooked by glare from glazing. 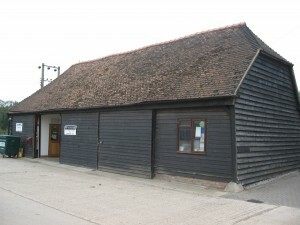 The Practice appealed and successfully argued that the subdivision had effectively been agreed in principle in the consideration of the retrospective planning permission as the Authority was under a duty to consider the effects of the use on the character and setting of the listed building; that the works were a straight forward approach to re-using the building and the alternative approach would be disruptive to the two businesses and would affect the character of the building more. The Inspector agreed with these findings. Planning permission was sought for replacement church meeting rooms and hall in Beckenham. 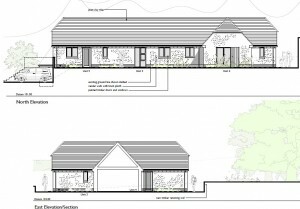 The proposal sought to revise a previously approved (but not implemented) scheme for a replacement building following the demolition/removal of the existing prefabricated single storey church meeting rooms and hall. 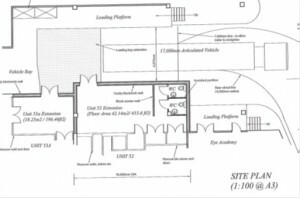 The proposal was for a smaller, more compact building providing similar facilities to that previously approved, but not the pre-school facility. The replacement building would be provided in the same location as the existing building and retain the open feeling. The principle was already established through the extant permission and thus there would be no adverse effect on the visual appearance or layout of the site. The new building would be in line with the neighbouring vicarage and would be no further forward than the extant permitted building, therefore no material impact on the metropolitan Open Land. The latest scheme is attractive and complementary in scale, form, layout and materials to the buildings around it. It replaced an existing utilitarian prefabricated building and was granted under delegated powers. In association with Homelodge Buildings Ltd. Owned by Hall & Woodhouse, planning permission was sought for 5 units of holiday accommodation to the rear of this thatched public house located west of the village of Tatworth. The proposal sought to widen and strengthen the long term viability of the pub business and the proposed catering holiday accommodation would diversify and support the viability of the existing hospitality enterprise. A courtyard development was proposed in line with pre-application advice received. As part of the scheme, alterations to the front of the site would improve the presentation of the pub to the road and passing traffic. The proposal allowed The Poppe Inn to diversify its existing business to strengthen and ensure its long term viability. 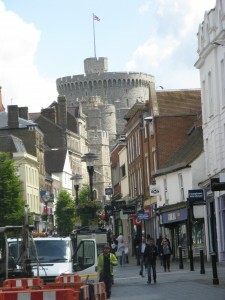 The scheme made efficient use of land and complemented existing buildings. The design of the holiday accommodation together with the improvements to the parking and garden areas enhanced the character and appearance of the local area. There were no adverse consequences for the amenities of the existing and neighbouring properties and planning permission was granted. 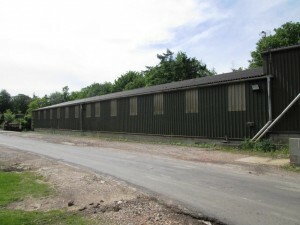 Planning permission was sought for change of use of a building from retail and warehouse use to mixed animal day care (sui-generis) and retail use at the former Dene Country Stores, near Liphook, West Sussex. The site is located in the countryside and South Downs National Park as it is part of an existing industrial site. After setting out the business case and explaining the niche market for animal day care in this location, planning permission was granted. 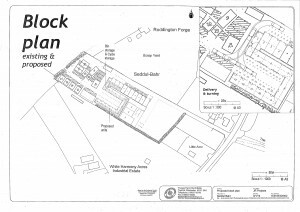 The case was put forward that the scheme would utilise the existing building and the proposed uses would be at an appropriate scale and in keeping with the rural location and the community. It was demonstrated that there was a sufficient supply of B8 uses in the locality and the proposal would provide for employment opportunities. The rural location was justified and the existing building was of a design and scale that fits within its context. As Iron Hill Farm is part of the established local scene the proposed change of use would benefit and would cause no such harm. It was considered that the proposal would not be detrimental to the locality with sufficient noise mitigation measures and planning permission was granted. This first project was to increase the size of two Class A3 units at basement level enabling space on the ground floor to be freed up to increase the trading floor area.